When will the conference start and finish? The OER17 conference will run from the morning of Wednesday 5 to the afternoon of Thursday 6 April 2017. Where will the conference take place in 2017? In 2017 we will be hosted by Resource for London. 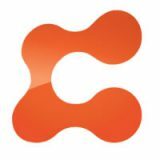 Travel information can be found on their website and the OER17 website. How much does attendance cost? Registration opened in December 2016. Full information about registration, options (including early bird rates) and costs are shown on our registration webpage. When will registration close? Early-bird registration will close on 31 January 2017 but you will be able to book a conference place until the end of March, unless we reach venue capacity earlier. Look out for news updates regarding the booking close date, or follow us on Twitter. You can still make a saving on your booking after 31 January if you are an ALT member, or join as part of your OER17 booking. What is the booking process for sponsors and exhibitors? Information about sponsorship and exhibition is available on our website. If you have any questions, please contact [email protected] or call + 44 (0)1865 484 125. Dietary requirements? We can usually accommodate different dietary requirements, if you let us know in advance. Please let us know during the registration process. Cancellation policy? This will be available from January 2017. Accommodation and travel advice? This is available on the page Venue and Travel Information. How many participants will there be at the conference? We are expecting about 180 participants. Many will attend the whole conference with day attendees expected to keep total numbers roughly consistent both days. What are the timings of the conference? The conference programme will be available in early 2017. I want to book for only one day and want to know when someone is speaking. Once the programme is published (late January), you will be able to see all scheduled sessions. Please note, however, that sometimes speakers, even keynotes, have to change times as a result of other circumstances and so we cannot guarantee that you will get to hear a specific speaker. The only way to be sure is to attend the entire conference. I cannot come to the conference but understand that I can participate in some sessions remotely. Yes, you can follow key points via Twitter using #oer17. We may also be able to stream some of the principle sessions, mainly keynotes. 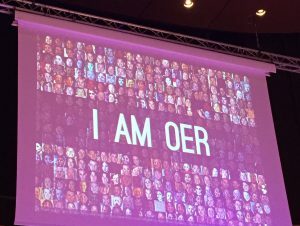 To keep up to date with news about the conference, follow us on Twitter @A_L_T , @OERConf, #OER17.